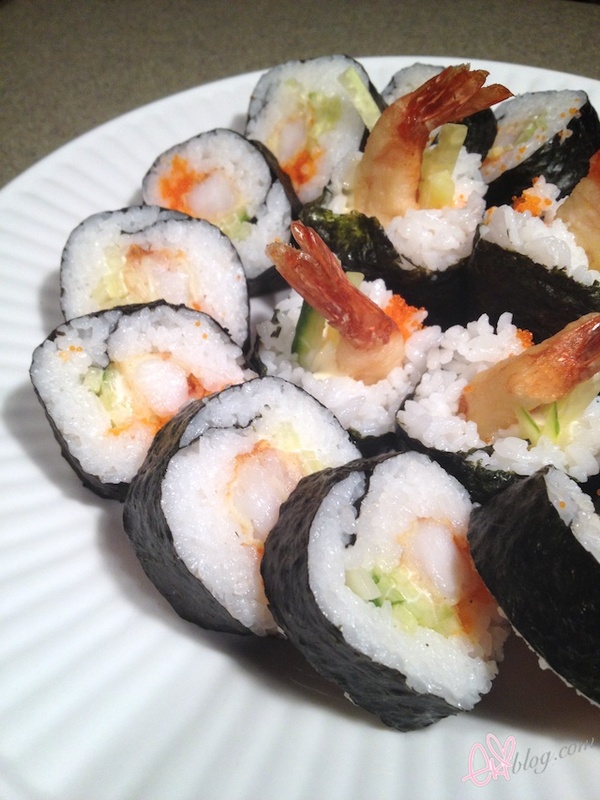 ekiBlog.com: Tutorial: Shrimp Tempura roll! 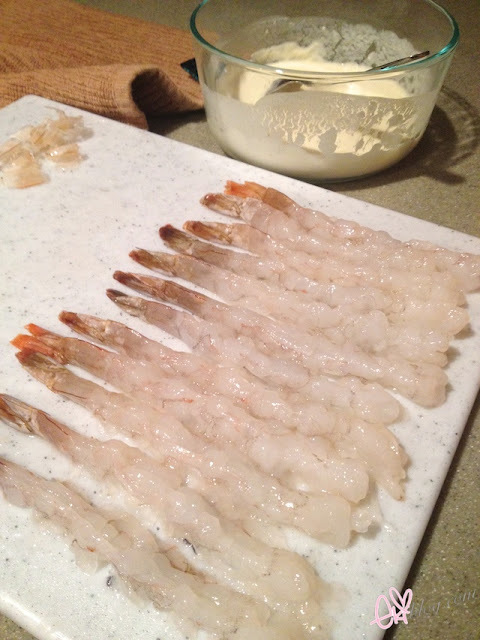 Take off the shells then devein the shrimps, tip: (go here for how to devein) then make a small slices in the inner curve of the shrimp so that you can spread the shrimp straight by pinching down the shrimp like in the bottom picture. 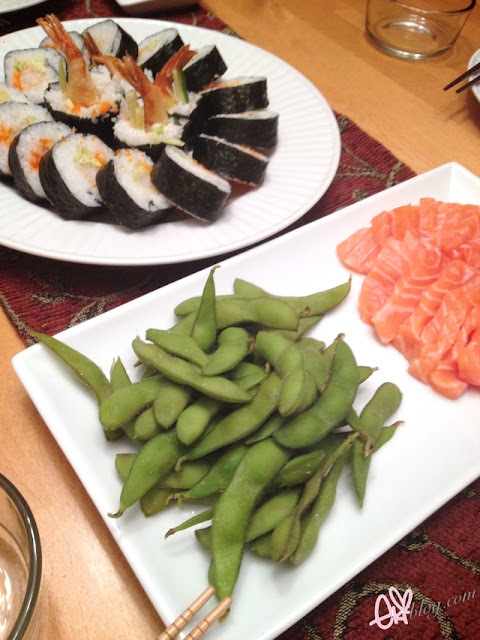 your homemade sushi looks so good! mine always turn out pretty bad looking lol! wonderful ! I will try but in Italy it's difficult to find ingredients! 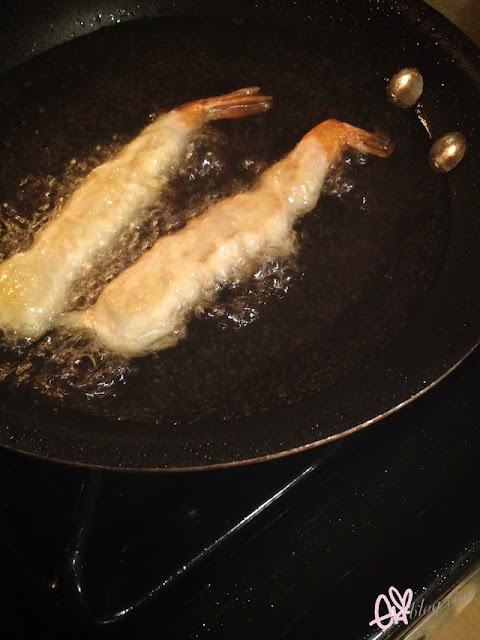 OmG that tempura looks so delicious cool tutorial! The tempura looks so delicate and delicious!! Thanks for the tutorial! Love this ! 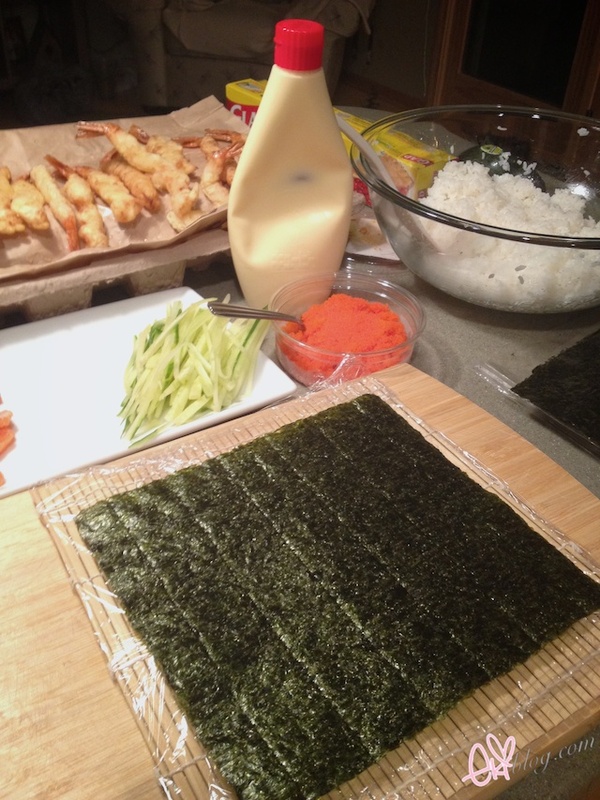 <3 totally gonna try making it now <3 ^3^ !!!! 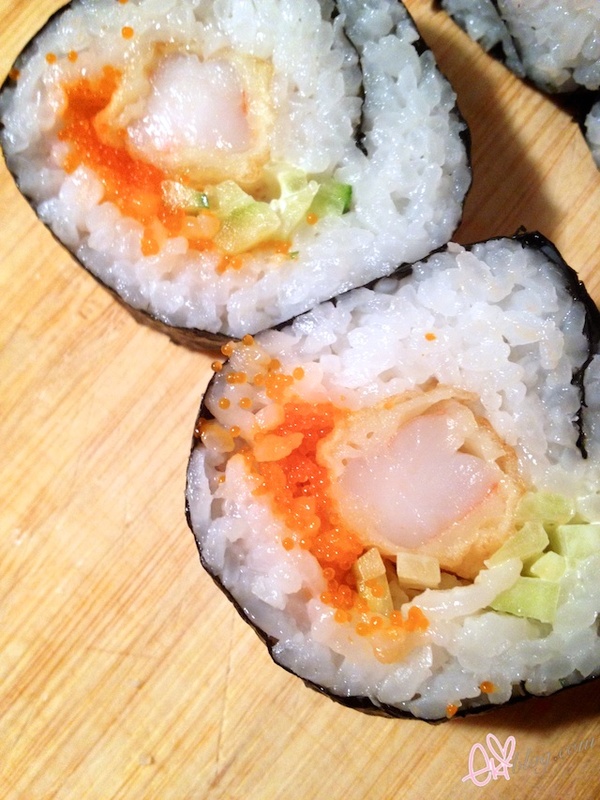 one of my favorite sushi >_< too bad i can't eat it any more D: allergic to shellfish *sobs* thanks for the tutorial love! Im hungry now. 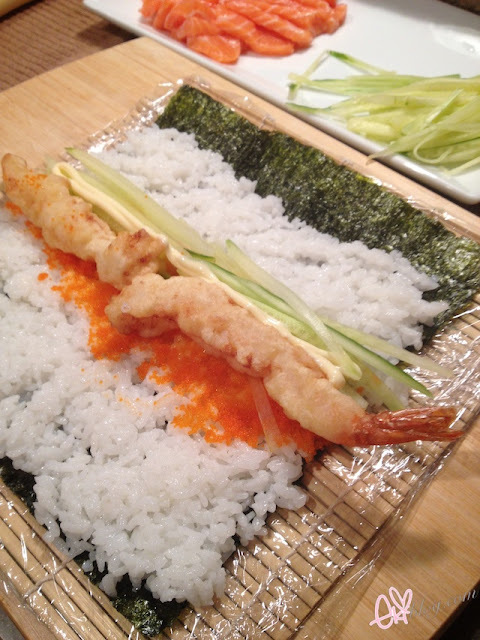 At first I thought it was raw shrimp (my fav) but shrimp tempura sushi is so good too. 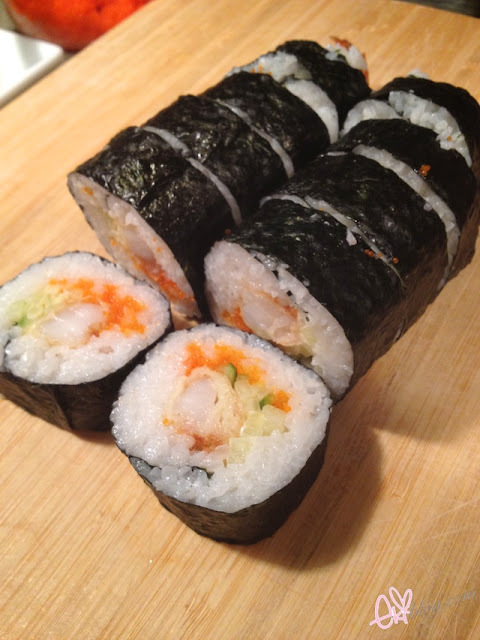 I wish I could make sushi half as nice as yours :) they are wrapped perfectly!